New book extolls story of Bellingham, Washington, women who spearheaded amazing educational results working with locals in remote Kenyan community. 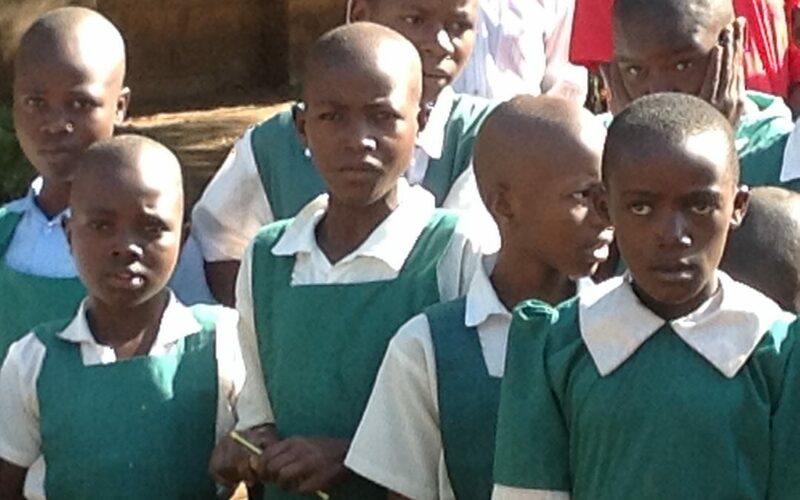 When two Bellingham, Washington, woman decided to follow a lifelong wish to help transform the lives of uneducated people living in poverty in a remote village in Kenya, they could not have dreamed what that effort would lead to – students from a small rural school where no secondary school had previously existed literally took the their nation’s educational system by storm and, in the process, created a notion of hope and success in their community that has only continued to grow. Dr. Debra Akre and Jeana King of Bellingham undertook their efforts in 2004 by not only challenging the way schools were historically run in that African nation, but by instilling in the poverty-stricken village a notion that its potential to educate their young and establish a means of getting them out of hopeless poverty was already present in the village – it just needed to be realized and then worked through a process of hands-on involvement by the locals, including an incredible school administrator, Benson Mutua, who would institute revolutionary educational approaches, for Kenya, in inspiring students to achieve things far beyond their own dreams. Mutua somehow failed to mention, in his Foreword to the book, his own critical involvement in the process. So successful was the undertaking that the little school, in its first year when its graduates competed in the national exams for the entire nation of Kenya, which coincidentally are the key to opportunity to achieve higher education in that nation, they placed among the highest in the nation – and they’ve maintained their success since. The journey that led to this success is at the heart of the new book, which includes ten chapters describing the two women’s efforts to work with Mutua and the local community of Ngomono in fulfilling their dream. Chapters include such topics as their initial and critical meetings with the local people under the village’s towering baobab tree, being “Crazy Wazungu Women, Fortitude, Fundraising and Fundis; the Secret to Self-Sustaining Business (which they helped set up and nurture); Critical Thinking About African Aid; one on Everybody’s Africa; and a full-color photo section. Akre and King came to their involvement in the process from varied backgrounds. They are business women, not educators or social workers. They believed approaching this project would set the foundation for a successful outcome. Akre’s background in working with different cultures enabled them to first look, listen and learn before proceeding. This proved invaluable in the success of their first school. Mutua noted that the book takes the story of Akre and King’s journeys through how it all began, the trials, temptations and their determination to give the students a second chance in their academic life – in a way that involved the entire community.